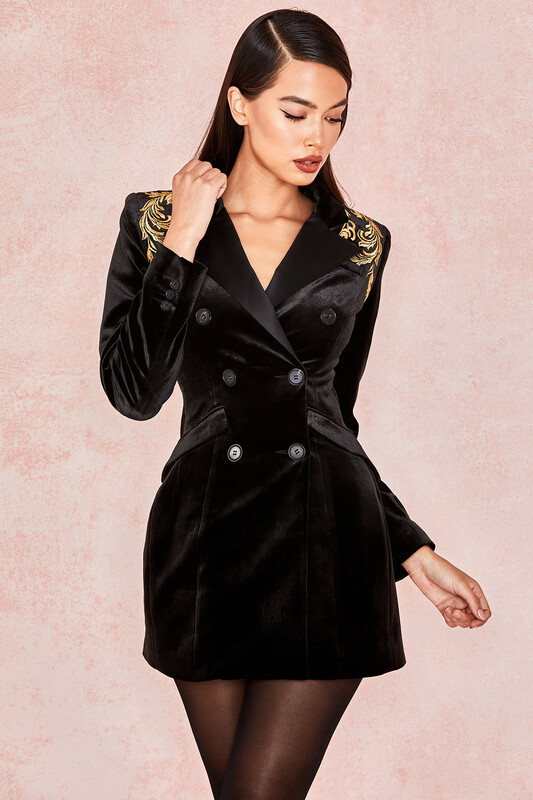 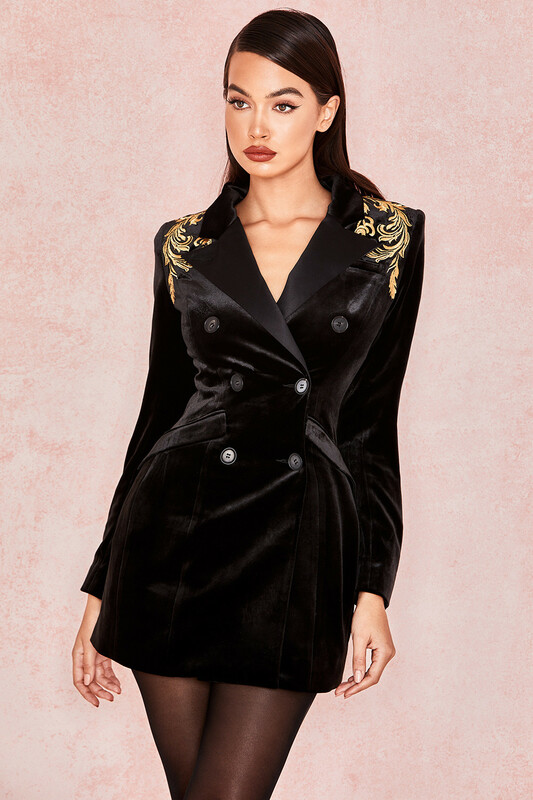 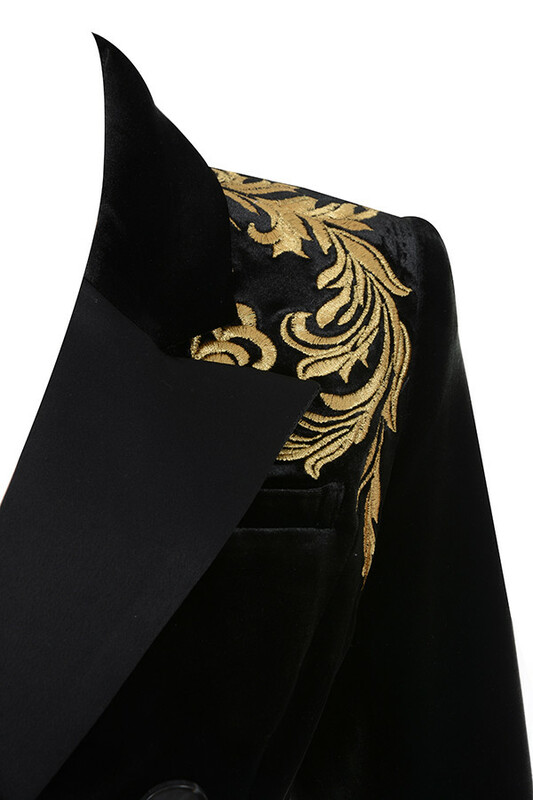 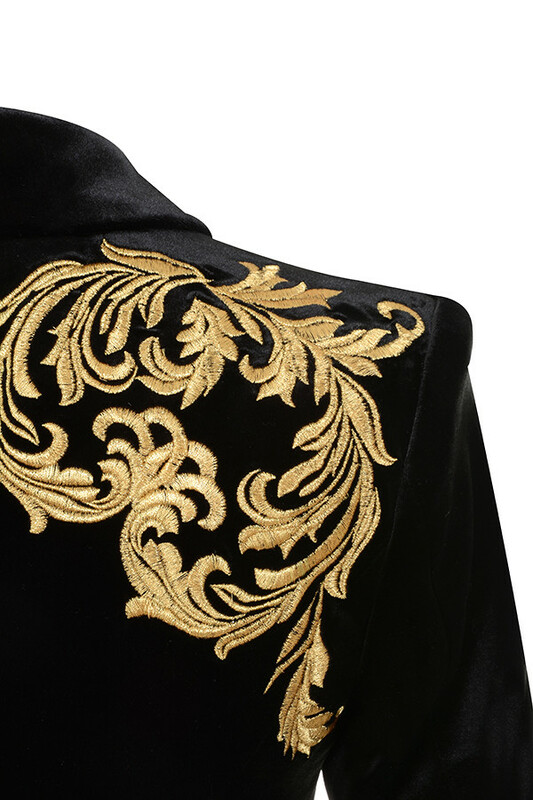 Bring it with the luxe vibes in our incredible Velvet Blazer Dress. 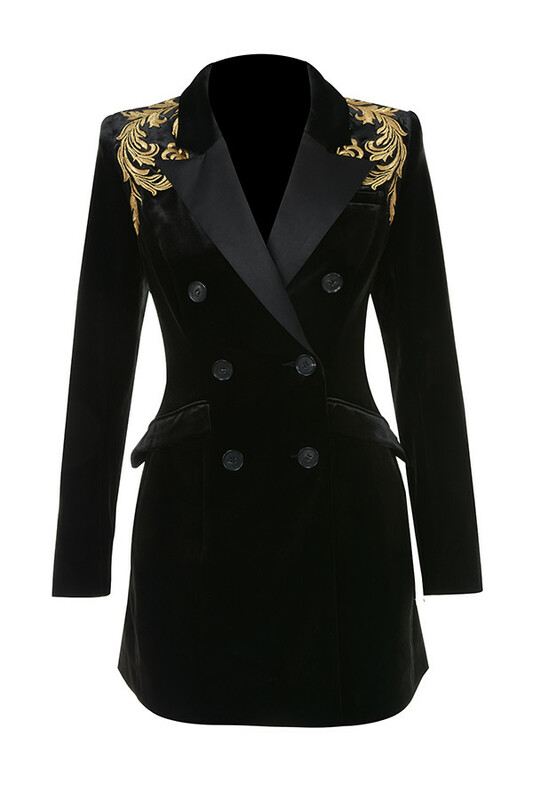 We've fused a feminine silhouette with slightly masculine details to create this ultra sophisticated luxury look. 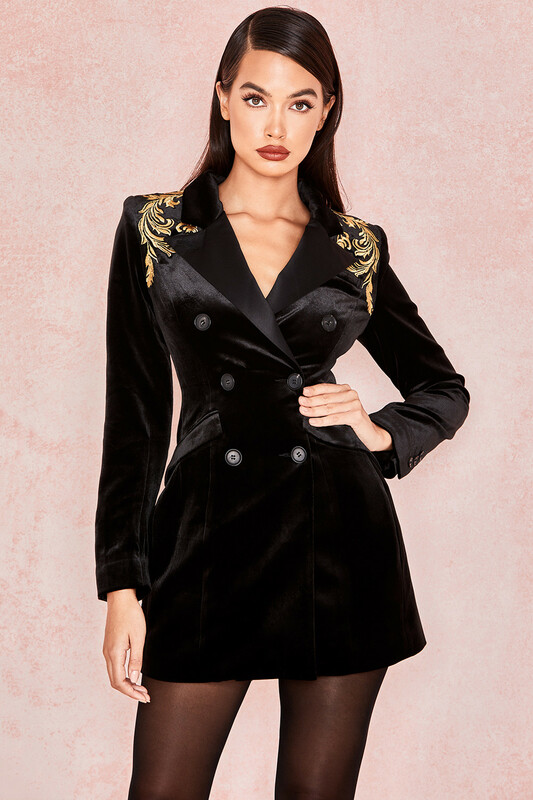 Expertly crafted from a luxurious plush velvet, 'Giselle' has a double breasted front and is tightly nipped at the waist to flatter the smallest part of your figure. 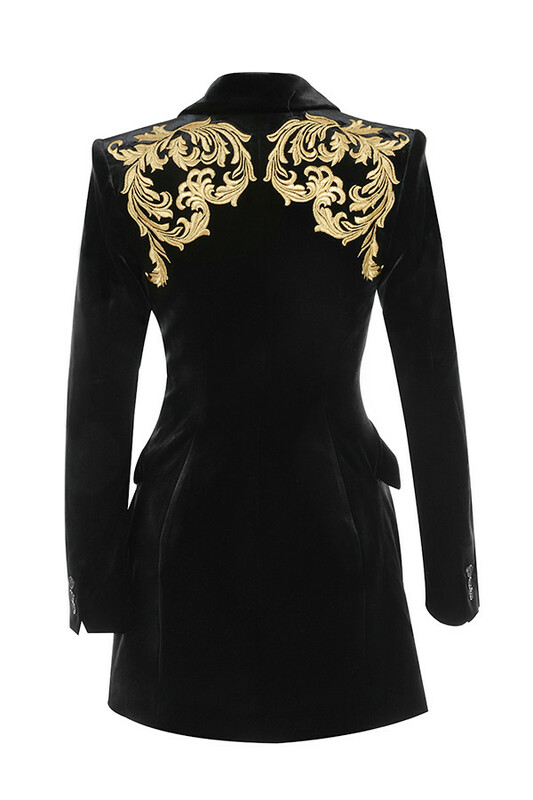 It has lightly padded shoulders for a structured look and features hand embroidery in gold silk to the shoulders. 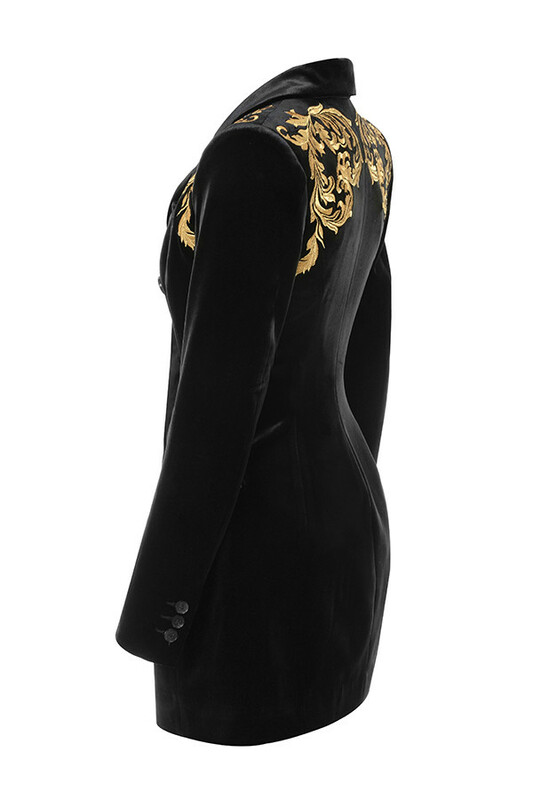 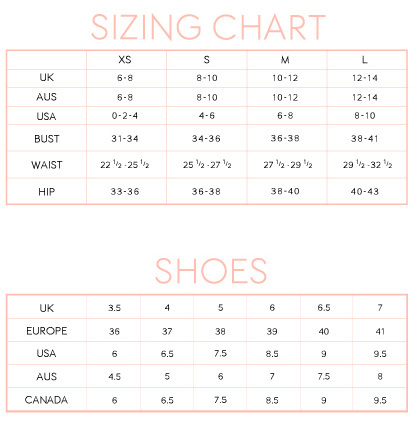 Fully lined, of course, for comfort and a smooth silhouette. 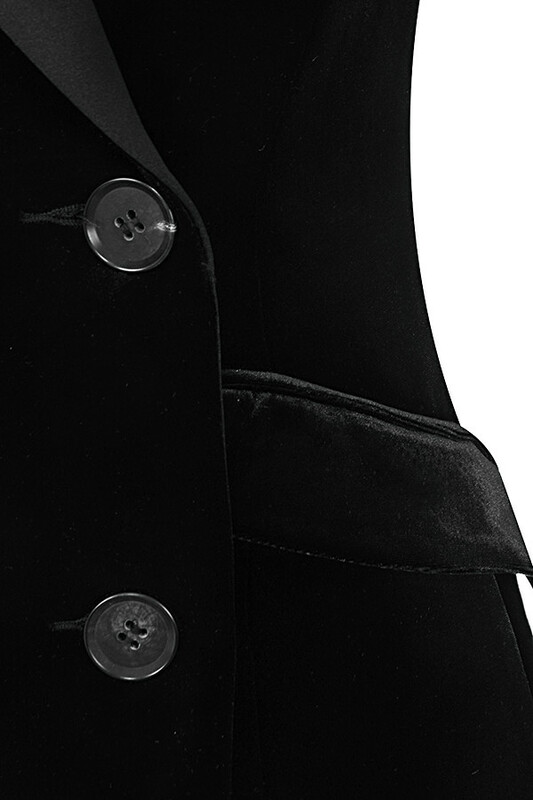 Wear yours with our 'Paris' black suede pumps.